Scottish Spirits, despite the name, is not a Scottish liquor company. It's based in Panama. But that's not important. 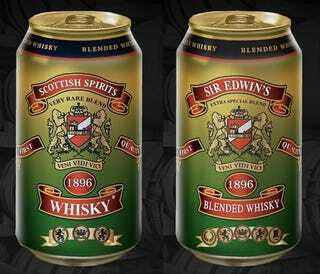 What is important is that it sells whisky in a can. Real, straight whisky. 12 ounces of it. In a can. Again, it's not scotch. That's okay. It's eight shots of whisky. In a can. For the first time ever.